Earlier this year, I planted some basil starts and they were attacked by some pest, probably baby slugs. Finally, they looked so near death that I dug them up and took them inside. They have recovered well, but they still have the look of a basil plant that is flowering: leaves are a lighter and duller green, they look like they have less essential oils, and their shape has changed from roundly curving to slightly pointed and flat. If I continue to give them good care and make sure they get enough sun, will they eventually revert to their previous state, or is it that once that mechanism is triggered, the plant can't go back? Also, is there a name for this state other than bolting? I seem to remember from biology something about CAM3 and CAM4 states. . . I have found that basil, along with other herbs, perform best outside in full sun, rather than indoors. 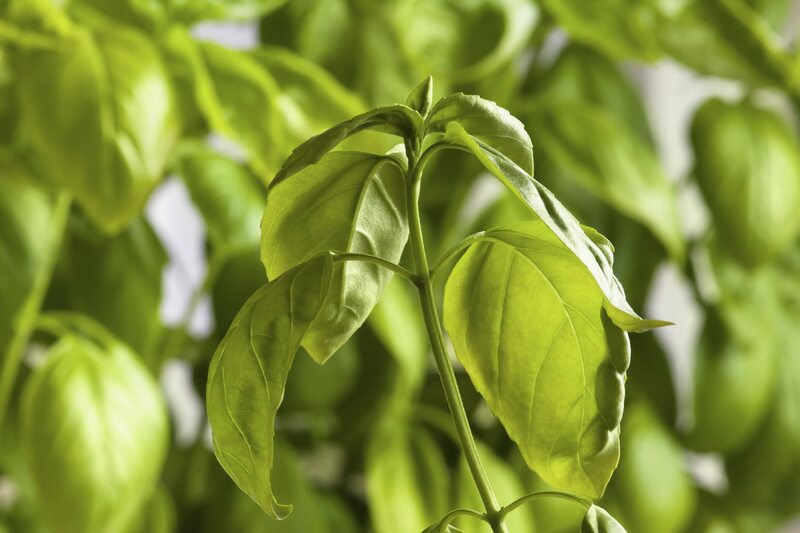 Most often, basil takes the more severe "beating" for it is a fast grower. Your description sounds like the plant is reacting to a lower light location than what it prefers. I would think that placed back outside, it's appearance will revert to the look it had. If you have slugs (and they love basil) reappear, simply place a ring of finely crushed eggshells around the basil plant.